Holi is a festival of colours and beauty. It falls in spring and has its origin from the Indian subcontinent. Predominantly, the ‘festival of colours’ is celebrated in India and Nepal but has spread to the Western world with migrating Indian population as a ‘festival of love’. The significance of this festival lies in the victory of good over evil. It marks the end of winters and arrival of spring. The nature welcomes the new life on treas. People generally forget the bitterness and forgive each other. After all, it is the time to love, laugh and play and repair broken relationships. Since Holi season also marks the onset of new infections, colours which are put on each other have their medicinal significance if their sources remain natural. E.g., green colour made from leaves of Neem plant protects against virus,bacteria, fungi and other pathogens; yellow colour from haldi or turmeric is protective against many diseases. These herbs have been used in prescription by various Ayurvedic doctors and many others are present in genuine Ayurvedic herbal products. The Colour Brown – Daily Detox Tea! The colour of earth, wood and stone which also represents wholesomeness is the colour brown. It stands for reliability, elegance, security, warmth, and honesty. Brown is a natural and neutral colour. Associated with the concepts of natural and organic, it brings simplicity, warmth and health to the user. The vision of this colour is comforting and nurturing giving rise to fertility and growth. This colour is thought to stimulate appetite, provide stability, structure and support and hence has been chosen by Preserva Wellness for its herbal curcumin tea which serves the purpose of detoxifying the body. 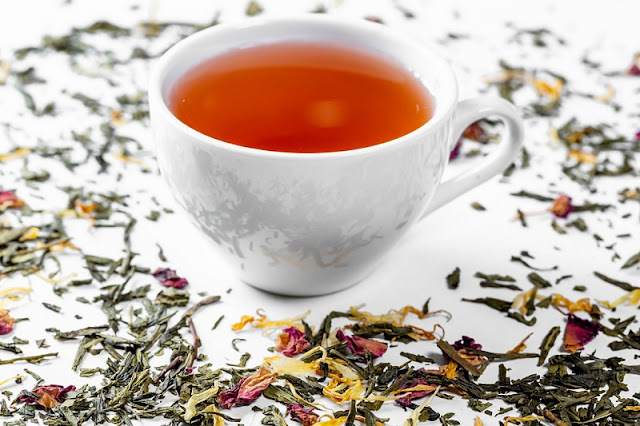 Since it enables detoxification of body via liver, kidney and skin and improves digestion; Daily Detox Tea also serves the purpose of improving appetite. To follow a colourful Detox routine this Holi, get to your home brown container of herbal curcumin tea.